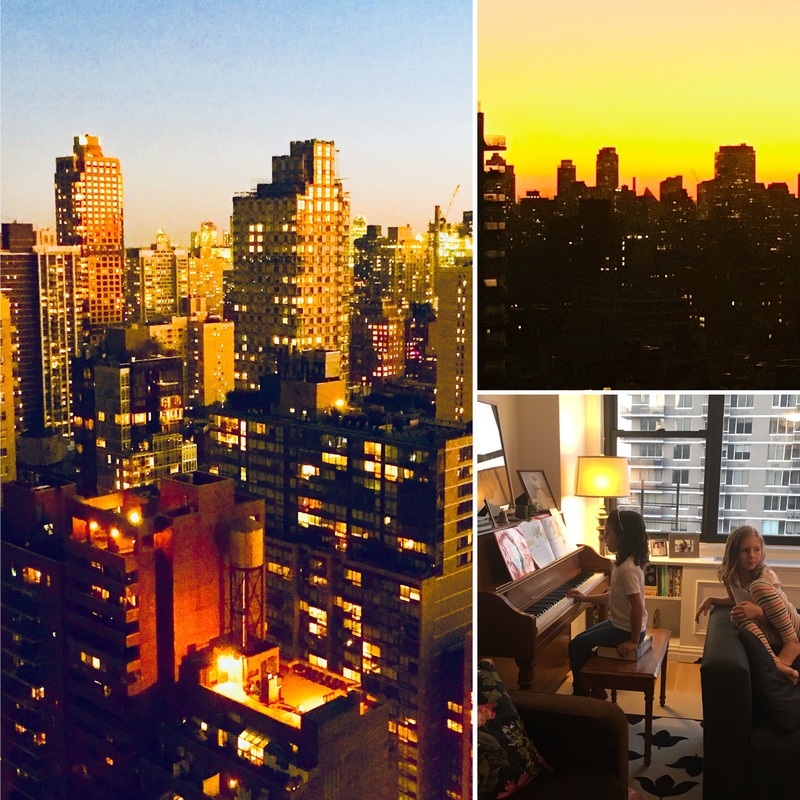 Earlier this week, we were walking from Harlem to the Upper East Side to visit our friends, Damon and Kendra, and to share dinner with them and their delightful daughters, Evelyn and Nina. I have a tendency to walk very quickly and, not paying attention to the ground but rather to all the sights and sounds that New York City offers, I missed seeing an irregularity in the sidewalk. I tripped and it felt like everything immediately changed to slow motion as I tried to regain my balance and avert an inevitable fall. But fall I did, but I managed to take some air and land so that the brunt of the fall was on my wrists and the top (not the front, which would have been normal) of my knees. Had I not done that, I would have hit my head, for sure. Ron, of course, had tried to stop the fall, but it was impossible. He rushed to see if I was okay, but he was not alone. A young woman walking behind us ran up to check and to give us the silver bracelet that broke on impact. A very kind gentleman rushed up from the corner ahead of us to check on my condition and to lend whatever assistance was required. He pulled a salve out of his pocket for me to apply to my scraped knee and was so kind in his concern and manner. All I wanted to do was dust myself off and get out of there as quickly as possible as I was thoroughly embarrassed. When we got to Damon and Kendra’s, we doctored my wounds and Kendra shared that, although New York is a city where people tend to be very impersonal, they will rush to help in situations like mine. The unexpected kindness was very surprising to us, but affirmed that people are really good at heart, wherever they live. Tagged assistance, balance, embarrassed, fall, gentleman, Harlem, kindness, New York, sidewalk, Upper East Side, walk, wounds.